Find Fake Fur Fabric, Fake Fur Coat, Fake Fur Material on Industry Directory, Reliable Manufacturer/Supplier/Factory from China. Product categories of Fake Fur Fabric, we are specialized manufacturers from China, Fake Fur Fabric, Fake Fur Coat suppliers/factory, wholesale high-quality products of Fake Fur Material R & D and manufacturing, we have the perfect after-sales service and technical support. Look forward to your cooperation! Packaging:Fake Chinchilla Fabric Packing:25~30m/roll,vacuum Packing.out Poly Bag. 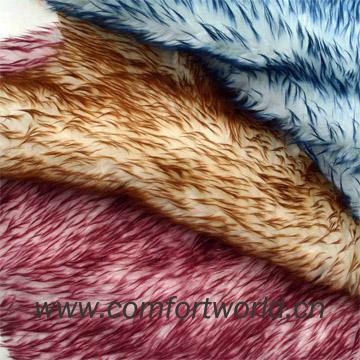 Packaging:Faux fur Packing:25~30m/roll,vacuum Packing. Out Poly Bag.Fcl Q\'ty:16000m/40\'hq. Packaging:25~30m/roll,vacuum Packing, Out Poly Bag. Fake Chinchilla Fabric Packing:25~30m/roll,vacuum Packing.out Poly Bag. Faux fur Packing:25~30m/roll,vacuum Packing. Out Poly Bag.Fcl Q\'ty:16000m/40\'hq. 25~30m/roll,vacuum Packing, Out Poly Bag. Fake Fur Fabric leather is a kind of high-tech and environmental-friendly product, it has the soft hand feeling but with the very low price. PU&PVC Leather can be used for a wide range production, such as Garment, Car Seat production.